Posted July 9, 2018 by SCS Gearbox & filed under Monster Trucks. Most people are familiar with what a monster truck looks like and what’s it able to do. But unless you spend a lot of time watching and reading about monster trucks, you probably aren’t familiar with the ins and outs of them. You might even have a few burning questions about monster trucks as a whole. 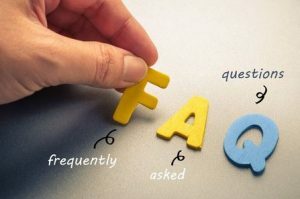 Here are the answers to some of the most common monster truck questions. How big are the tires on monster trucks? One of the first things you’ll notice about monster trucks when you see them is their tires. Monster truck tires are huge. How huge? Well, the average monster truck tires are about 66 inches tall and 43 inches wide. They weigh about 900 pounds and have about 10 psi of air inside of them. How heavy are monster trucks? When monster trucks first started to become popular back in the 1980s, they weighed upwards of 20,000 pounds. That allowed them to crush just about any car that got in their way. However, in more recent years, the size of monster trucks has been scaled back. They “only” weigh about 10,000 pounds now, which is what allows them to drive so fast. How fast can monster trucks go? Speaking of speed, you’ll find that monster trucks can ride up to 65 or even 70 miles per hour when they’re being driven around during a show. However, very few monster truck drivers go that fast. They usually only max out their vehicles at around 25 or 30 miles per hour. How do drivers get into monster trucks? In the old days, monster truck drivers had to find creative entrances into their trucks. They would open the doors of their trucks, hold on to their seats, and then propel themselves up off the front tire to get in. These days, it’s much easier to climb into a monster truck. Drivers have a hatch located in the floor that allows them to climb in and out of a truck without a problem. Today’s monster trucks are comprised of heavy-duty parts that allow them to do the unthinkable during shows. 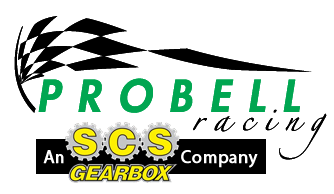 SCS Gearbox can help you get your hands on these parts if you own and operate a monster truck. Call us at 419-483-7278 to place an order for monster truck parts.